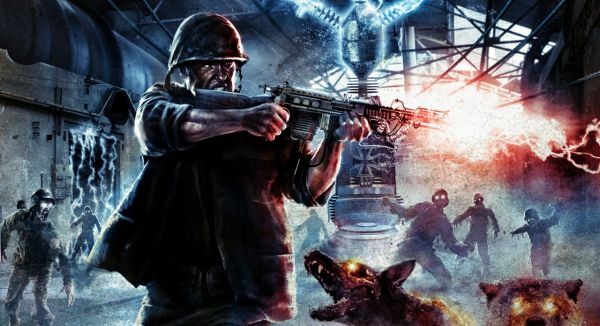 If for nothing else, Call of Duty: World at War is going to go down in history for having the greatest co-op mode that was ever slapped onto a game: "Nazi Zombies" (Nacht der Untoten) came straight out of left field and has been providing gobs of great moments in co-op. This Thursday -- August 6th -- the third Map Pack drops, and Nazi Zombie map Der Riese right along with it. We're looking forward to a playthrough for some Achievements and Trophies, and to see what new bits of zombie lore will be unveiled. This pack will net Xbox 360 and PlayStation 3 owners a cool $10 (or 800 MS Points). PC players will have to wait as usual, but if the last two Map Packs are any indication, Treyarch will make it worth your wait. Nazi Zombies are Coming Out of the Ground!